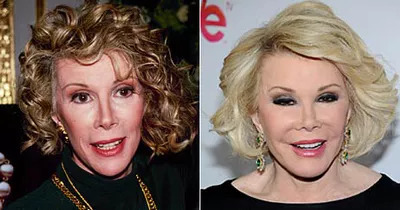 TUESDAY, February 21, 2012 (Health.com) — Most middle-aged people who get face-lifts and other cosmetic surgery do so because they want to look younger. But since youth is partly in the eye of the beholder, it's difficult to measure whether a procedure successfully turns back the clock, and by how much. In a new study, a team of plastic surgeons set out to pin down exactly how many years a person can expect to shed under the scalpel. The surgeons asked medical students to estimate the ages of patients in before-and-after pictures, and the results suggest that facial surgery reduces a person's outward age by about six to eight years, depending on the extent of the procedure. The study, which was published online Monday in the journal Archives of Facial Plastic Surgery, was designed to fill a gap in the information available to prospective patients, says lead author Nitin Chauhan, MD, a plastic surgeon at the University of Toronto. "It's nice to have an objective measure," says Dr. Chauhan, noting that few studies have tried to quantify the results of cosmetic surgery. "Some of our patients like to have concrete numbers to look at, and the more information you can provide, the more it facilitates decision-making." The concrete numbers aren't intended to be a sales pitch, however. On the contrary, Dr. Chauhan says, they'll help temper patients' hopes for what a plastic surgeon can achieve. "Nothing we do is magical," he says. "We do certainly get 60-year-old patients who want to look 40, and this will help us when we discuss expectations." The study included 54 women and six men ages 45 to 72 who underwent cosmetic surgery on their face. Dr. Chauhan and his colleagues assembled before-and-after photos of each patient, mixed them up at random, and then had 40 first-year medical students guess the age of the person in each photo. On average, the students said the patients looked 7.2 years younger in their after photo than in their before photo. Moreover, the average age the students assigned to the after photos was roughly nine years lower than the patient's actual age when the photo was taken. The more work a person had done, the younger they tended to look afterward. People who had a face-lift and neck lift looked an average of 5.7 years younger post-surgery. Adding in eyelid work shaved off nearly two additional years, and adding a forehead lift on top of that took off about another year. People who had all four procedures were said to look 8.4 years younger in their after picture. The results come with a big caveat: All of the procedures were performed by the same surgeon, Peter Adamson, MD, who is also at the University of Toronto and was a coauthor of the study. "In different surgeons' hands, results may vary," Dr. Chauhan says. Still, the numbers will likely be a helpful reference point for patients who are considering various procedures, Dr. Chauhan says. He adds, however, that age is only one of several factors that matter to patients. "Patients want to look rejuvenated, more refreshed, less tired," he says. "The biggest message we get is that they don't want to look operated on or unnatural."